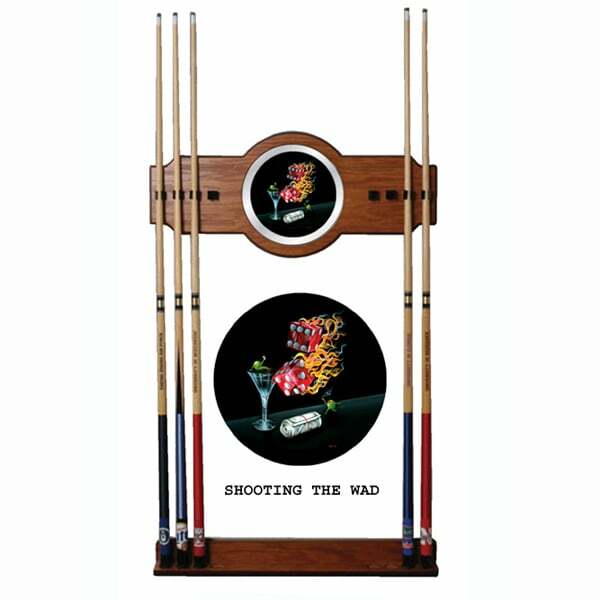 Put the final touches on your billiard room with a cue rack featuring Michael Godard Designs. This beautiful wall rack will hold up to 8 cues and is easy to install. Family Leisure carries the full line of matching Michael Products including clocks, bar stools and game room lights. This item ships via UPS / FedEx. Most delivery times within the Continental U.S for billiard accessories range from 2-5 business days depending on location. All in stock orders received before noon will ship that SAME DAY.